This graphic was published by Gartner, Inc. as part of a larger research document and should be evaluated in the context of the entire document. Click here to view the full report. The Gartner Magic Quadrant research report is intended for use in conjunction with Gartner’s “Critical Capabilities for the Wired and Wireless LAN Access Infrastructure,” and uses the same vendor inclusion criteria. 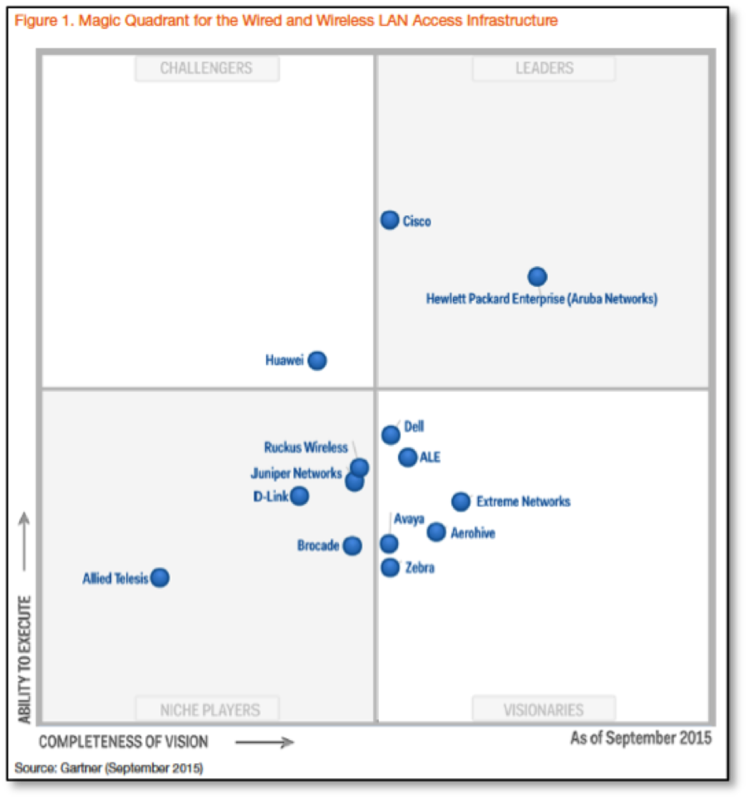 Extreme Networks is placed in the top 3rd of vendor scores for all use cases. What does it mean to be “Visionary”? This move highlights Extreme’s commitment to providing customers with a broad range of high quality, software-driven wired and wireless solutions. We believe this recognition is also validation to Extreme’s strength and focus in supporting the needs of the mobile enterprise. 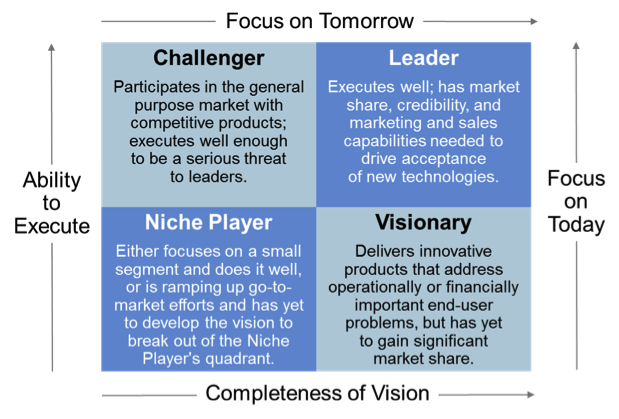 Positioned as a “Visionary” is a huge accomplishment for Extreme as we work hard to provide a unique and differentiated approach to the market with innovative solutions to meet tomorrow’s needs. Did you also know that Extreme is one of the top 17 vendors with a combined revenue derived from Enterprise WLAN, software and applications, and campus Ethernet switching? Extreme’s ability to apply differentiating functionality across the entire access layer had a positive effect on our position in the Magic Quadrant. NetSight for its single console that provides multivendor, centralized management. Management of the full wired and wireless portfolio that can be deployed on-premises or virtually in a public or private cloud environment. Extreme is one of the few vendors that can fully optimize the access layer for any enterprise considering an “all wireless office” decision. Extreme’s Purview analytics engine software provides insight into who is on the network, what applications they are accessing, where they are located and what device they are on. Download your full copy of Gartner’s Magic Quadrant for Wired and Wireless LAN Access Infrastructure to learn more.